Spacious five bedroom house which would make a wonderful family home with the possibility to . . . This elegant house offers 320m² of habitable space with 1 acre of garden where you can add a . . . This lovely family home is situated in a quiet hamlet, only minutes from a larger town with . . .
Beautiful property with so much history and restored to a very high standard maintaining its . . . 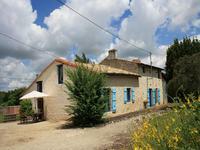 This charming country house has been tastefully renovated and is an ideal family home or . . .
An amazing house with original charm and so much character. Beautiful flagstone floors . . .
An intriguing property with so much potential, this deceptively spacious town house although . 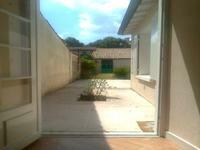 . .
Deceptively spacious town house with lovely walled and private garden and swimming pool with . . . This delightful property is set on the edge of a popular village. It is deceptively spacious, . . . This house is deceptively spacious offering so many opportunities. It has three entrances to . . . This amazing town house needs refreshing and would make a wonderful family home. Equally it . . .
An outstanding house which has been tastefully renovated to a very high standard. Spacious . . . This property needs complete renovation and would make a wonderful home especially for a . . . Very well situated in walking distance to town center and all amenities this is an ideal . . . 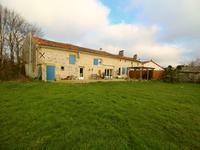 Located in a green valley close to Chef Boutonne, this house has got a quiet setting in the . 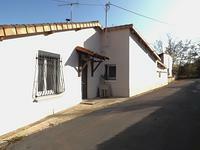 . .
Gite complex with 3 houses in buzzing and charming little village. 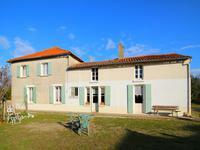 Located near the market town of Chef Boutonne, this gite complex is a great oppertunity to . . . This spacious house benefits from oil fired central heating and is connected to mains . . .